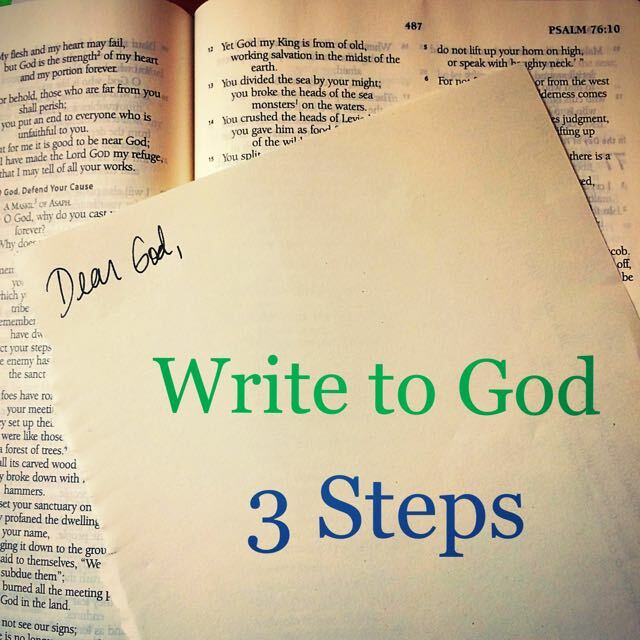 Writing is cathartic, and when things in life are confusing, challenging, or painful, God promises to be our refuge. In ancient days, people would write about such things in psalms to God. I googled "writing your own psalm" to see if there was already a post in existence, and while I found many, they were mostly focused on poetic expression, song-making, and required a lot of study, reading, and prep. 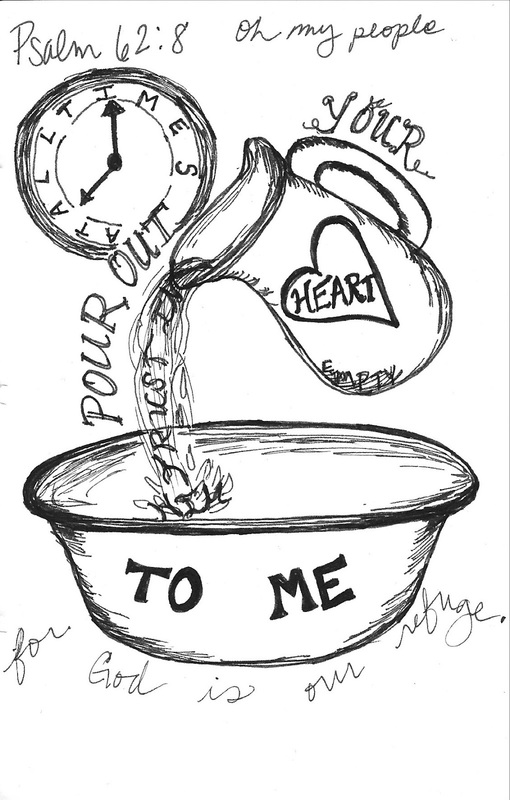 The point is not to craft a masterpiece, but to pour out our hearts to God. He INVITES us to come as we are, honestly, and talk to Him. This can be intimidating or awkward if you have never done it because of the obvious reason--we can't SEE God with our eyes. This is why writing a letter--a way we communicate with a person who's not in our physical presence--can remove the awkwardness and allow our honest thoughts to flow. 1. Get honest with God. Choose a place, space, and time to truly communicate. Even though it's an outdated process today, use paper and pen because type is easily edited, and this is about getting thoughts out, true thoughts, no backspaces. Please expand! 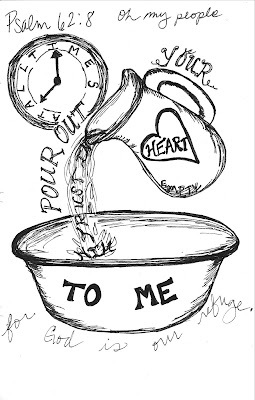 God invites us to pour OUT....i.e. empty, all gone. This is not a short answer quiz, this is you expressing to the bottom of yourself. God is relational, and in any lasting and valuable relationship, we must evaluate if there are any barriers to intimacy. Think about any human relationship you've had--there have been things that have been beneficial, and things that have been hurtful. When there have been hurts, they tend to get worse until you have cleared the air. God invites us to clear the air with Him the way we would do with a loved one. He doesn't invite us to curse at Him (and really, that's no way to create intimacy with anyone), but you can freely express to Him how you're feeling about the relationship and invite Him to respond. And just like in a human relationship, expressing hurts typically goes better if you have at first acknowledged the good things about the other person. 3. Shift to the promises of God. Every Psalm has a shift. It may have 30 verses describing the hard things of life, but then the writer will claim God's good and unchanging qualities and His promises of eternity. You can know and understand these promises from His Word (the Bible), from His creation (the universe and everything in it), and His people (those who love and follow Jesus). Perhaps you know many promises of God, and perhaps you aren't sure of any. 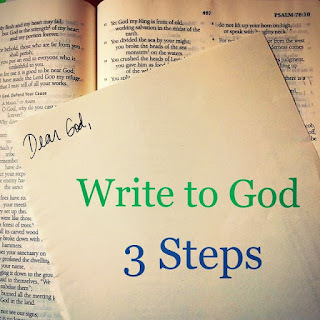 Write your first letter to God and seal it in an envelope. Highlight, circle, or record the qualities and promises of God. On day 100, write another letter using this same template. After you are finished, open your sealed envelope and compare the two--you will be amazed! God will amaze you at how He has been faithful to be your refuge! *This post is in conjunction with another post about reading God's word. You don't have to be an expert in God's word to write a Psalm to Him, but you should at least check out what He has to say. He has written an extensive love letter to you, and while He invites you to communicate with Him, He also invites you to read His own message. So unless you intend for this to be a one-sided relationship, take a baby step and begin reading. You don't have to read it all before you start responding to Him. Don't have a Bible?--read it online for free or download a Bible app to your smart phone!